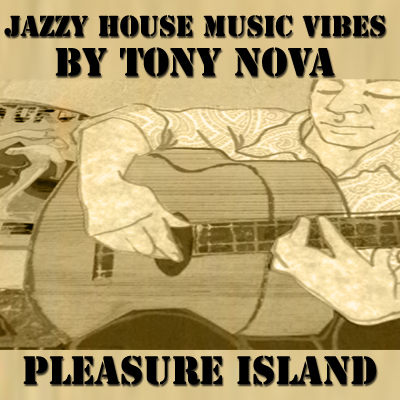 Our Feature mp3 Release, Tony Nova’s Jazzy House Music Vibes – Podcast, House Music Downloads & Mixes, all new Rare Traxx. The smooth guitar sets a cool, soothing rhythm that is sure to get the feet tapping in time. This is layered with a hot bass line that really grooves and keeps the head bopping along with the beat. It conjures the image of sitting on top of a porch in the sun on a breezy summer day just before the day is done. There is a lot of energy, but there is a very present sense of relaxation throughout. What makes Tony Nova unique is the use of bossa nova interwoven with deep jazzy house textures. It draws the listener in, making it an anticipatory moment of when the next bossa nova interlude will occur. This kind of jazz is brilliant because there is an unnatural excellence about it that makes it seem so right. The music is exciting but not unnatural and each note is as important as the next. The deep house style of this music is laced with the best that jazz-funk has to offer. What pushes it over the edge is the killer keyboard solo that both ties the other sounds together and tickles the ears with delight. This is a beautiful piece of sonic wonderment that is unlike anything released before. Tony Nova offers a throwback to old school jazz while pushing forward the new deep house genre. Jazzy House Music Vibes Pleasure Island” is available on goolge play Amazon, CD Baby and iTunes, or contact us for more retail info.